An unstable young man who can’t differentiate real life from his favorite television show, which is going off the air, has troubles coping and falls under the spell of a mysterious man who sets him on a murderous rampage in order to gain stardom. 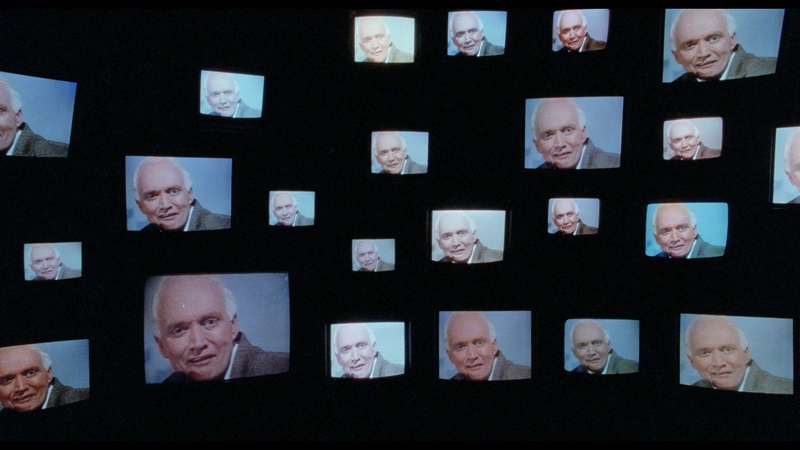 This is Star Time, brought to us by Vinegar Syndrome on Blu-ray. 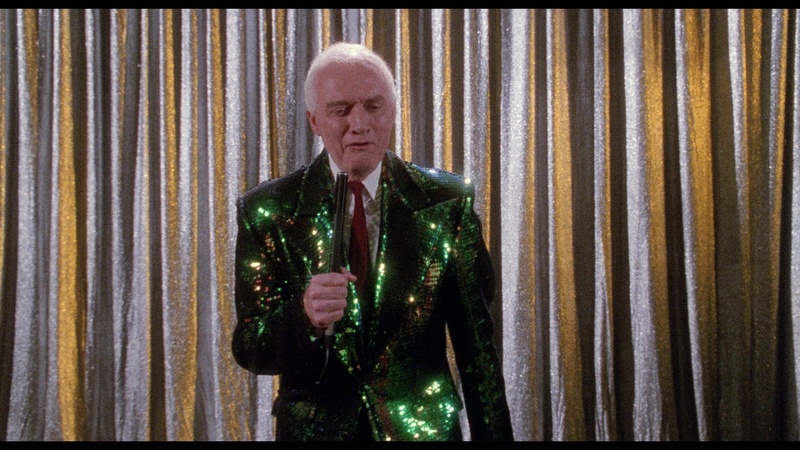 This 1991 film is quite the strange piece of work. It isn’t even really all that easy to categorize. Equal parts slasher, psychological thriller, satire, and fever dream, this movie has bits and pieces of just about everything. But that might just be what sets it apart and makes it memorable. Our main character Henry, is also a mix up of sorts. This depressed young man is clearly on edge and troubled. It is while contemplating suicide by jumping off a ledge where he runs into Sam Bones, a mysterious and intriguing gentleman who comes in and prompts Henry to make something more of himself. However, this would be accomplished by committing a series of murders masked like an infant and wielding an axe. Being on the news is ample recognition and makes Henry feel like he is important, and we see him go through a series of complex emotions about this transition. In fact, Henry’s mind space is what Star Time is really all about. Not only do we get to see a very convincingly played psycho on screen, we also get an exaggerated play on societies fascination with screen time, particularly with the macabre news. By becoming a serial killer and instilling fear in the community, Henry is raised to stardom, even if nobody knows his name. We especially see his confidence build as he is able to interact more uninhibited with his social worker contact, a woman who he has a very unhealthy sexual obsession with. Considering this movie has a short runtime (under an hour and a half) and is obviously a lower budget production, it does a very good and convincing job at portraying mental illness and the spiral into the insane. 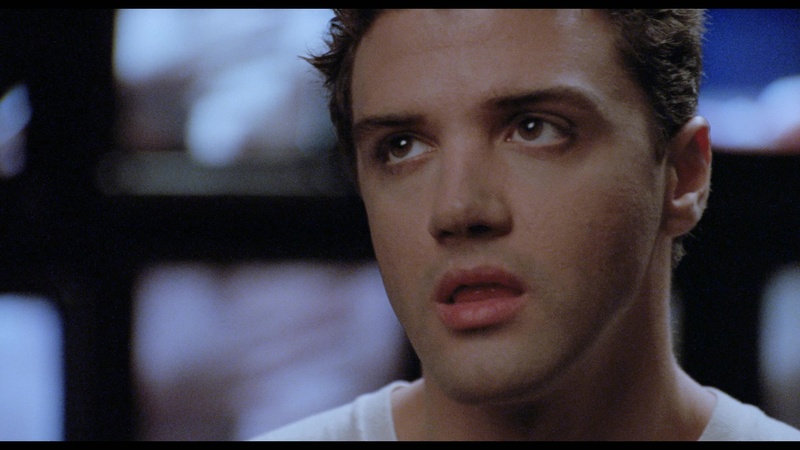 In fact, I would go so far as to say that the low budget feel works in the film’s favor, as it feels like you are actually spying in on someone in real life, which almost borders on voyeuristic at times. The lack of big names tied to the film also goes into making this film seem like something you just shouldn’t be watching. You are trapped in this man’s fever dream as he falls under the spell of a true madman, and everything about it feels both genuine and fantastical at the same time. I really enjoyed this film, and I’m willing to bet that now that it is more available, many more people will be seeing and enjoying this one. 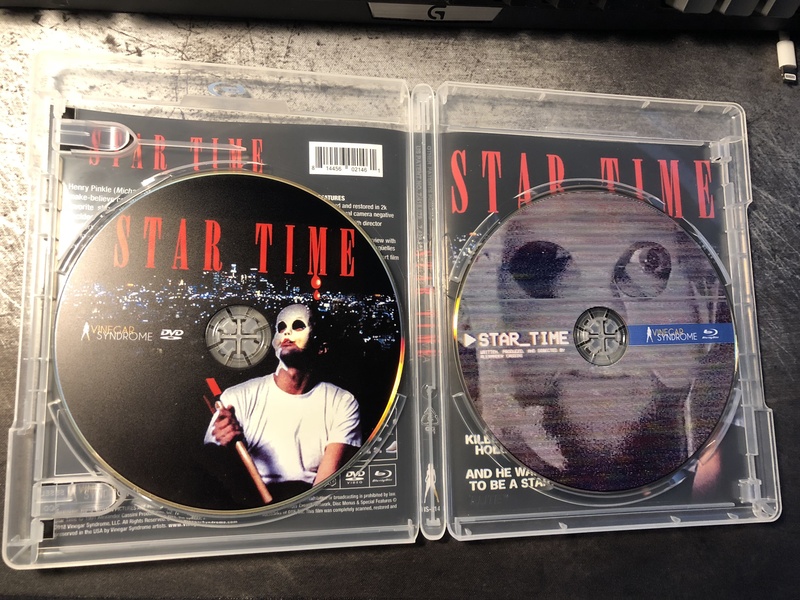 Star Time is transferred from the 35mm originals, Vinegar Syndrome has given this film a breath of new life as it does with all of its releases. While not perfect, one cannot really expect that from a company that is releasing lost and forgotten oddities. That being said, Star Time looks quite good, all things considered. The film grain seems appropriate and isn’t distracting, and the detail holds up surprisingly well considering how dark of a film this is. The audio track is a strange one, but that is to be expected considering everything else. It is only a 2.0 channel track, but even so, there is an interesting immersion it still is able to provide. Henry’s descent isn’t just internal, and even when it is, we hear what he hears in a strange and interesting way, which makes this one quite entertaining to listen to. This release is somewhat feature-light, but an extra short film is always appreciated. If you were really into the film, the commentary and interview are worth a watch, but might not keep casual viewer’s attention. 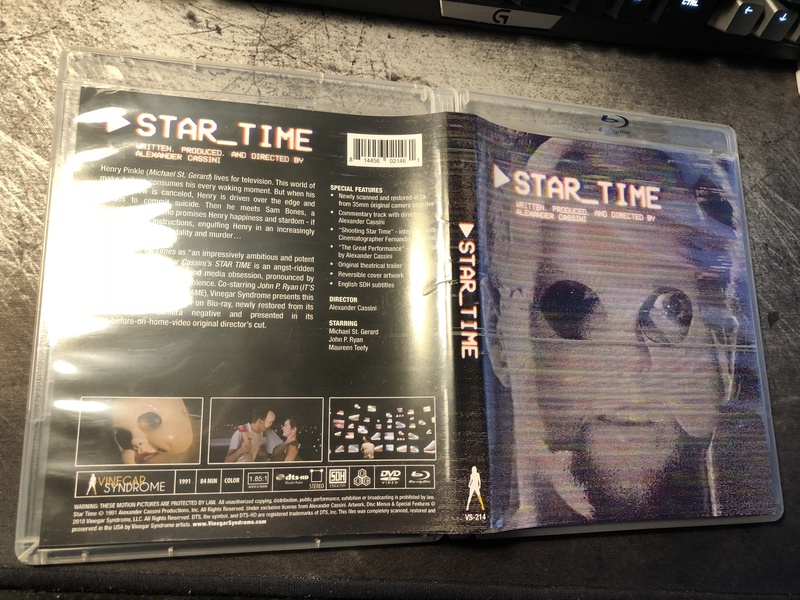 Having never heard of Star Time before, I had no clue what to expect going into this one. I was pleasantly surprised at how relevant and engaging this older psychological thriller was. The acting was over the top at times, but also very believable as well. I think it does a good job at being a satire as well as a mirror to something that we don’t want to see but can’t look away from. Fans of Vinegar Syndrome will be pleased as always, and anyone interested in something wholly unique and unsettling should give this a look. The Blu-ray is available from Amazon.